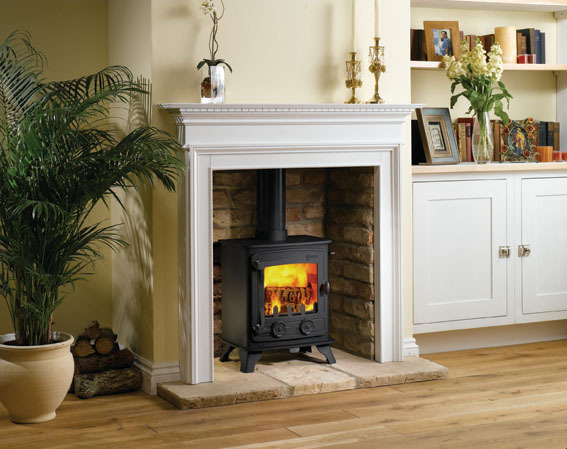 The Exmoor woodburning & multi fuel stove is particularly suited to smaller rooms, the classically styled Exmoor stove is designed to fit neatly into a traditional builders’s opening. The gently curved front and sides give this model a solid, well proportioned appearance and one which can enhance both traditional and contempory settings. A curved glass window also provides an excellent view of the flames.